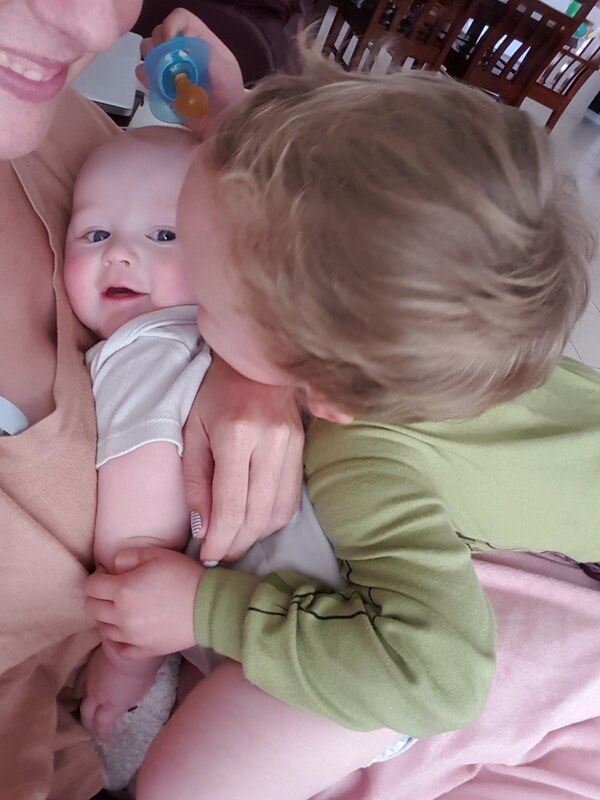 How amazing are baby cuddles? Snuggles with your little people on the couch or in bed, its the most beautiful thing in the world. As I'm also breastfeeding, I get extra amounts of love and cuddles. Mr.10 months isn't much of a sleeper, he does he eating of a night time. So I'm usually up every couple of hours breastfeeding for around 20minutes or so. I do love these moments, when its just the two of us , in the silence of the night, snuggling and loving. However, my poor partner gets home and if he wants a cuddle I just struggle. you just get to a stage where sometimes your touched out. I can go the whole day where there is always someone touching me, cuddles, kisses, feeds, tickle sessions. Just always someone touching me. Which is lovely, don't get me wrong. I love me beautiful time spent with my boys, I love the cuddles, I really do! But sometimes you need a little bit of space, a little bit of time for yourself. Sometimes, 5 minutes of uninterrupted, untouched face booking is all I need to have my batteries totally and completely charged. Before you have kids, there are so many wonderful and not so wonderful things that people like to tell you about, this was on the list of things I just wasn't expecting. Sometimes your just touched out, and thats ok! Take a break, look yourself in the cupboard and allow yourself a moment for yourself. Then, head back to the babies and cuddle them, indulge them while they still love it! But always look after you! Have you ever been touched out? What other things surprised you about parenting? I completely get this. Talked and touched out is definitely a thing and deserve calling time out to recover. Thats exactly it! Sometimes you just need five minutes of silence all on your own. It is the perfect medicine sometimes!